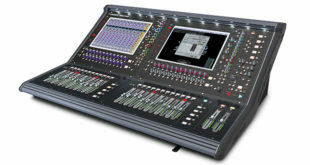 Texas-based recording facility upgrades to a SSL AWS 948 hybrid console/controller. 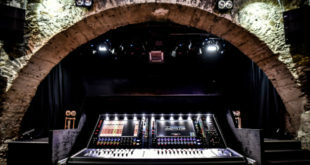 Texas-based MudRock Studios – built for clients of the Nashville on the Brazos record label – has upgraded to a SSL AWS 948 hybrid console/controller. Founded by entrepreneur and vocalist Ken Goldsmith, the studio caters for local and national bands, with multiple rooms that cover everything from simple rehearsals to complete music video production. “MudRock Recording Studios was built to rival studios found in Nashville and LA, offering high-end recording services for bands and artists in our region,” said Anthony Nieto, record and mix engineer for MudRock. 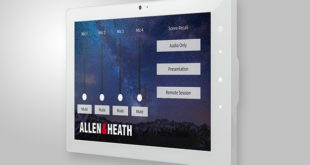 “When considering a console, we canvassed leading recording studios, polled major producers, extremely well-established mixing engineers and artists, and SSL was consistently on the top of everyone’s list of choices. MudRock Recording Studios features The Ballroom, a 640 square foot stage and 200-seat area for showcasing bands and hosting events, which allows for the production of music videos and includes lighting, video recording, broadcasting capabilities and large screen displays. Its Live Room is large enough for up to eight musicians, with the Ballroom doubling as a giant drum booth. Both rooms are connected to the AWS. “The Ballroom in MudRock will provide a set for live band performances as well as multimedia video recording and broadcasting,” Nieto continued. “Our intention is to employ highly-skilled audio/video engineers and technicians, with the goal of airing a weekly music show that will showcase up-and-coming performers as well as big name stars." MudRock engineer Ken Morgan added: “The AWS was a real good choice for this studio because it integrates perfectly with Pro Tools 10 and beyond, which is a big part of where we are headed. But more importantly, it gives us the opportunity to use it as a standalone analogue board. I have a lot of experience on legacy SSL consoles and I like the way SSL has carried forward its industry standard ergonomic user interface.